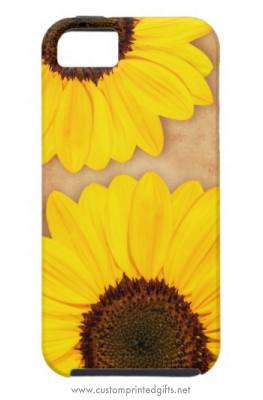 Elegant floral iPhone 5 case featuring a photograph of beautiful, yellow sunflowers on a stained, old, brown paper background. Also available with black background. Impact resistant & lightweight hard plastic case with rubber lined interior.